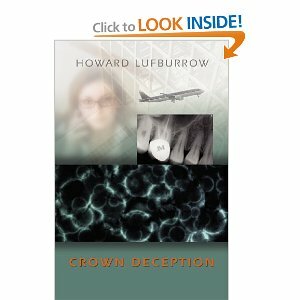 My next book review is a great book by Howard Lufborrow, called "Crown Deception". The book is about a young dentist, Jake Patterson, in small town Texas who is asked by local police to examine a strange symbol on a dead man's tooth at the local morgue. In the same town, Kate Williams, a manager at a large company based in the Netherlands, finds out that something is being smuggled into her lab. Jake and Kate are brought into the mystery together when they find themselves on the same flight to the Netherlands for meetings. Things become much more complicated for these two, as they find themselves tangled in a web of murder, smuggling, espionage and an international police investigation. This book was a super interesting read! I read the whole thing straight through in less than 24 hours. I just did not want to put it down! I really found myself caring about the characters and hoping the best for them, which is not normal for me. I usually just read the book without getting emotionally invested in the characters, but not this time! The book is not like some that I have read that are so detailed and intricate that I can't keep up with the characters or what is going on. I like that the plot was for the most part, fairly simple and easy to follow. I loved the descriptions of the foreign locations, I felt like I was really there! There were a few twists and turns in the plot that I didn't see coming, and everyone loves a surprise here and there! I really enjoyed this book, and I think it would be great with a sequel. Kind of like a crime fighting dentist-type thing? I know it doesn't sound cool, but read the book, and you will see why it really is a cool, exciting and interesting read! Howard Lufburrow, DDS has practiced dentistry in Texas since 1984. Crown Deception is his first novel, where he drew upon his love for travel, adventure and his experience as a practicing dentist, relating well to his main character, Jake Patterson, DDS. 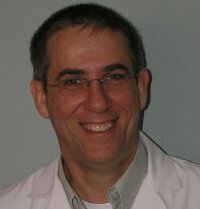 His previous writing includes an article published in the September 2004 Texas Dental Journal entitled Call to Service: Belize Mission Project, From the Beginning to Present. He is also a contributor to the book, Getting Down to Business--Success in Each Stage of Your Dental Career, edited by L. Norton Hindley III, ASP with his chapter entitled Group Practice: A Model for Talented Professionals. The book was published 2009. He is a 1977 graduate of Baylor University in Waco with a Bachelor of Science in Biology. He graduated from the University of Texas Dental Branch in 1984. He currently practices dentistry in Salado, Texas at Saladosmiles. He is married to Debbie and has two grown children Blake and Erin. He enjoys the time he spends with his three grandchildren Stella, Claire, and Carter. Nat Geo WILD Anteater Bug Vac from Uncle Milton! Hoover Twin Tank Steam Mop Review! Who Wants To Go To Sandals!? Super Cool Apps for your iPhone! Anyone ever done a body cleanse? Why Am I Looking At Kansas City Homes? I Think Tater Needs Coaching Drills.